Renowned for having naturally detoxifying properties, clay masks have the ability to draw out impurities and help you look younger. Think of applying a clay mask to your face as a purification ritual: clarifying oily skin and congested pores, soaking up urban toxins, exfoliating dead skin, and in some cases, smoothing out roughness to leave your skin clean and refreshed. It’s the perfect addition to any good preventative anti-aging skincare routine. Clay is basically finely ground rock sediments rich in natural minerals, and are found in ocean bed deposits, riverbanks, and deltas. All this natural goodness is great for stimulating cell-growth, removing dead skin cells, and absorbing dirt and surface oils. Due to its natural properties, real clay should not irritate skin making clay masks safe for all skin types. Although common clay mask lore may say to leave clay on your face until it’s dry and cracking to experience the full effects, it’s actually better to remove before fully dry so as to prevent dehydrated skin. Don’t worry, you’ll still absorb all the valuable nutrients and get the lifting and tightening benefits. The best way to tell it’s time to remove the mask is to do a simple touch test – when you start to see it lightening in color but it still feels slightly sticky to the touch, it’s time to wash it off. HOW OFTEN TO DO A CLAY MASK? Generally speaking, weekly clay masks work best for most for most skin types. Those with more oily skin can indulge in applying a mask up to twice a week – just make sure you give your skin a break between treatments! Clay comes in various forms, colors, and with unique attributes often dependent on how and where it is mined. 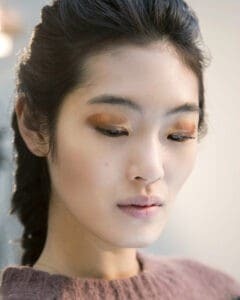 Properties for each type of clay address different skin care concerns, while different skin types should be mixing the masks with different ingredients. With that in mind, here are our recommended clays by skin type. White Kaolin is a mineral rich clay that high in calcium, silica, zinc, and magnesium. It is considered one of the mildest clay types because it doesn’t absorb all of the skin’s excess oils, although it does provide gentle exfoliation and cleansing. It’s great for people with dry and sensitive skin, as well as great for children. White Kaolin is mostly mined in France, England, Saxony, Bohemia, and the United States. 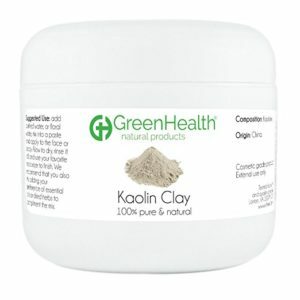 Green Health’s Kaolin Clay is all natural and is of cosmetic grade. Not only can the formula be used as a mask but it also works well as part of a scrub or a soap. If your skin is feeling a little dry try mixing the Kaolin Clay with some milk. Red Clay often referred to as Ghassoul or Rhassoul clay, is mined from deposits within the Atlas Mountains in northeast Morocco. Besides gently removing impurities, the clay is known for its ability to reduce dryness and for improving skin clarity and elasticity. Before using this clay mask, be warned that due to its fine texture and brown color, it’s also known to stain clothing and towels, and may temporarily stain certain shades of skin. 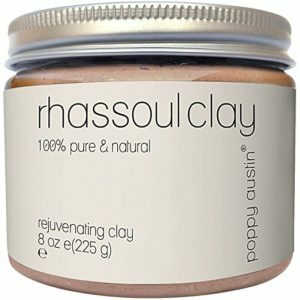 Poppy Austin’s Rhassoul Clay Powder is 100% organic and is mined from Morocco. The fragrance-free formula is free of known skin irritants like parabens and alcohol and is cruelty-free (never tested on animals). Pink clay, another type of Kaolin clay, is also known for its gentle exfoliating and polishing properties, making it appropriate for rejuvenating and smoothing rough skin. Like White Kaolin, Pink clay is also mild, but with slightly more absorbent properties. Pink clay is known for its ability to draw out impurities, exfoliate dead skin, and rejuvenate by increasing the turnover of new skin cells. 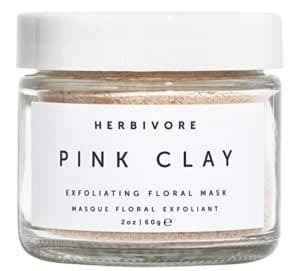 Herbivore’s vegan mask blends French Pink Clay with skin-beneficial ingredients like Chamomile known for its anti-inflammatory benefits and nourishing Rosehip Seed oil rich in Omega 3,6 & 9. The formula is made without known skin irritants like parabens, sulfates and is also cruelty-free. Fuller’s Earth clay is a potent mineral-rich clay full of magnesium, quartz, silica, iron, calcium, calcite and dolomite. This clay mask is known for its skin lightening and balancing properties, but it also absorbs excess oil, reduces the appearance of minor scars, treats acne, and can help tighten skin. Though you can find this type of clay around the world, India and the US are two of the largest miners of Fuller’s Earth. 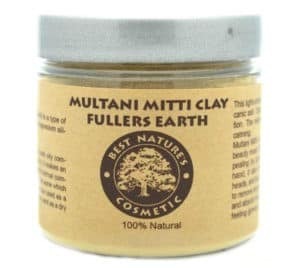 Best Nature’s Cosmetic Fuller’s Earth Clay is 100% natural and made without artificial or filler ingredients. 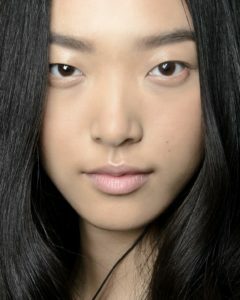 In order to address pigmentation issues like dark spots consider mixing the formula with some yogurt before application. French Green Clay or Sea Clay is mined from bedrock quarries in France and has a natural green color, which is a result of decomposed plant matter and iron oxides. It has sponge-like qualities and is great for people with oily and acne-prone skin. French Green Clay nourishes skin with montmorillonite, magnesium, calcium, potassium, dolomite, silica, manganese, phosphorous, silicon, copper, and selenium. 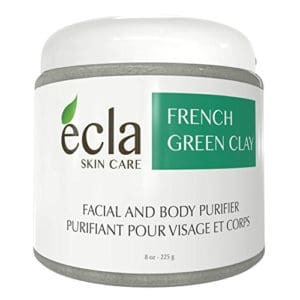 Ecla’s natural French Green Clay is extremely popular and with good reason. Not only does it have Ecocert Certification for being 100% Organic but it also contains no additives, fragrances or parabens. Other key benefits of the cruelty-free formula include that it is prepared in small batches to ensure freshness and the satisfaction guarantee that provides customers with a refund if they are at all unhappy with their purchase. Bentonite is one of the more popular types of clay masks. It’s made up of volcanic ash sediments, is greyish in color, and has incredible absorbent properties due to its unique structure. When wet, the clay’s molecules produce electrical charges that allow it to attract bacteria and debris from the skin so that pores are deeply cleansed. Bentonite clays have a high concentration of minerals such as silica, calcium, magnesium, sodium, iron, and potassium. Higher quality bentonite clay masks have a very fine, velvety texture that is both odorless and non-staining. 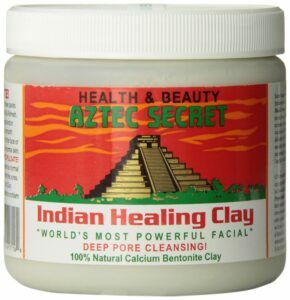 Aztec Secret has developed a cult following for its 100% Natural Bentonite Clay’s deep pore cleansing abilities. The fragrance-free formula is made without additives and is naturally dried in order to preserve as much of the skin-beneficial properties as possible. If you’re looking for more ways to boost up the all natural in terms of your skincare routine take a look at our in-depth articles on the benefits of facial oils and rejuvenating body oils. Clay masks are a great way to clarify, exfoliate and also provide over-all rejuvenation for the skin. 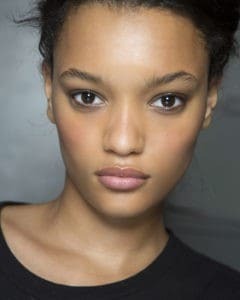 Although, it is important to note, that there isn’t just one universal product or treatment that will maintain skin health but rather it takes a combination of them.